Extracting values from raster under line using GDAL? 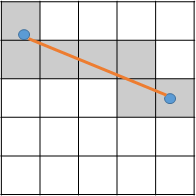 extent = "-te 354971.3488602247089148 4473058.4587739501148462  355341.2924763654009439 4473428.4023900907486677 "
attribute_name = " -a id "
resolution = " -tr 73.9887 73.9887 "
input_vector_line = " -l test_line /home/zeito/pyqgis_data/test_line.shp "
where the option -at is very important because "Enables the ALL_TOUCHED rasterization option so that all pixels touched by lines or polygons will be updated, not just those on the line render path, or whose center point is within the polygon. Defaults to disabled for normal rendering rules" (http://www.gdal.org/gdal_rasterize.html). where the line was adequately rasterized with a constant value of 1. Now, with map algebra, you can extract the height profile along the line. 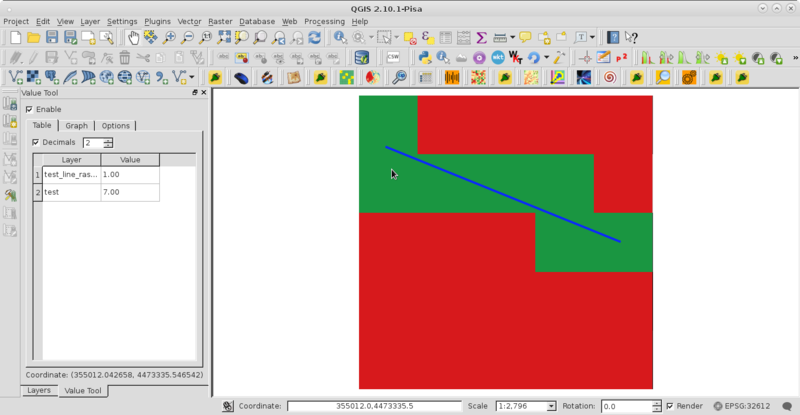 You can use the GDAL options to get raster extent, resolution, etc, for automatizing all procedure. Not the answer you're looking for? Browse other questions tagged python raster gdal line c++ or ask your own question. 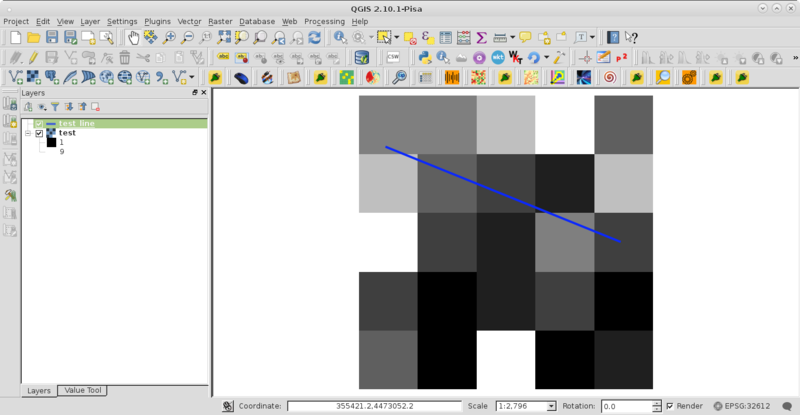 How to subset raster image using gdal? Creating line between polygon and nearest raster cell? PostGIS - How do I create a line that directly connects two earth points without travelling over a geodesic?